Making homemade bread from scratch isn't difficult when you have the assistance of a bread maker like the Admiral Bread Machine. Use your Admiral Bread Machine to treat yourself to warm, delicious loaves of fresh-baked bread as additions to your meals or to give as gifts to friends who enjoy bakery flavors. If you have an Admiral Bread Machine and need to know how to use it, following a simple bread recipe helps in the endeavor. Remove the pan from the bread maker by lifting upward until it unhinges. Press the kneading paddle over the blade attachment at the bottom of the pan. Press down firmly until it locks into place. The kneading paddle, or blade, is the thick plastic attachment that features a paddle-like protrusion from its side-top. Pour the milk into the pan. If you have any other liquid ingredients required for your recipe, add them now. Combine the dried ingredients into the mixing bowl. Mix them briskly with the fork. This combines them to aid in the mixing process. Dry ingredients include flour, salt, sugar, baking powder and optional add-ins like oatmeal or dried fruit. Add the shortening to the bread pan containing the milk and then pour in the mixed, dried ingredients. Make a burrow in the center of the dried ingredient mound in the center of the bread pan. Add the yeast to this indention. Make sure the milk or other liquid ingredient doesn't touch the yeast. Press the bread pan into the bread machine until it locks into place. You will hear an audible clicking sound to let you know that it is locked. Close the lid of the Admiral Bread Machine and then plug the machine into a nearby electrical outlet. Use the "Select" button to choose the appropriate setting -- 1 is the basic setting, good for most bread types, with a total cycle time of three hours. Keep pressing the button for other settings: 2, for French bread, 3 for sweet breads with lots of sugar, 4 for rapid cooking (1/2-lb. loaf), 5 for rapid cooking (2-lb. loaf), 6 for whole wheat, 7 for specialty doughs like rolls and pizza, and 8 for dough only. Select the crust setting you want by pressing the color button that coordinates with it. Crust colors are indicated as followed: P is medium crust, L is light crust and H is dark crust. The machine automatically cooks a medium crust unless you instruct it otherwise. Press the "Start" button on the face panel of the machine. The kneading and mixing process will immediately begin, which lasts about five minutes. When done mixing, the machine will begin baking your bread as the timer counts down. When it is done, it will make a beeping sound and the counter will read as 0. Put on oven mitts or use pot holders to remove the bread pan from the machine. 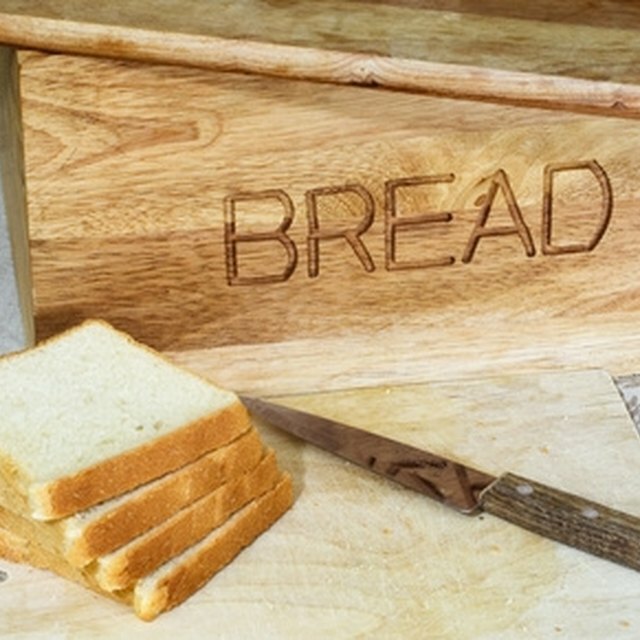 Turn the bread pan upside down to allow the loaf to slide out of it onto the surface you have prepared for the loaf, whether plate or chopping block. Unplug the Admiral Bread Machine and let it cool down for up to an hour before attempting to clean it. Knock loose bread crumbs and wipe down the bread pan. It should never be completely submerged in water. All ingredients should be at room temperature before being added to the bread maker. This is to assure the kneading process is completely accurate.